BugOut is a non-profit, community-driven initiative developed to protect the Virgin Gorda community within the British Virgin Islands from diseases spread by Aedes Aegypti mosquitoes, including Zika, dengue, Chikungunya, and West Nile Virus. Combining a comprehensive integrated vector management strategy combined with groundbreaking community mobilization, citizen participation, and new technologies – these form a unique approach to vector control in communities facing vector-borne diseases. BugOut strives to significantly reduce mosquito populations, especially Aedes Aegypti, on the island of Virgin Gorda using new community-based vector control efforts, education, and empowerment initiatives designed to inspire individual and community-level participation in the prevention of vector-borne diseases. We seek to utilize both new and existing methods to prevent the further transmission of vector-borne diseases while remaining true to our core philosophy – residents and communities can play the leading role in effective vector control on this island. Aedes Aegypti is our primary target – it’s the known carrier of dengue, Zika and Chikungunya viruses and is well-entrenched on the island. As a community, we are working together on Virgin Gorda in an effort to significantly reduce mosquito populations, especially Aedes Aegypti. The BugOut program is driven entirely by our community. We are one of the only vector control programs in the world that rely on community resources, private funding, volunteers, and global expertise, making BugOut a truly innovative and unique approach to combating vector-borne diseases. In both of our programs – our VCO and our community mobilization initiatives – we strive to use the safest mosquito control technologies possible and are guided by our community-led Steering Committee to ensure the program’s efforts support the priorities we all share. Community First – we will strive to provide our communities and businesses with the tools and information they need to make an impact at an individual, household, family, and community level – via innovative tools, precinct-level organization, volunteers, and public engagement. Safe and Effective Control – we use mosquito control methods, tools, and technologies that are safe and effective. We don’t ever sacrifice human or environmental health in achieving our goals. Good Data and Fast Iterations – we’re consulting with the best minds in the world to help us build a program that will allow us to constantly improve – and work through iterations and changes we need to make to make this campaign effective and sustainable in the long-term. BugOut is fully endorsed by the Government of the BVI, and is led by BugOut’s two Directors (Jonathan Oakes and Grey Frandsen) and its Steering Committee, which is comprised of community leaders, government representatives, faith leaders, and experts. BugOut’s community mobilization and vector management programs are advised by a Global Advisory Board comprised of international experts on disease prevention, vector control, public health, vector-borne diseases, community mobilization, and other areas. At the beginning of 2017 BugOut partnered with GreenVI, a local nonprofit dedicated to advancing environmental sustainability and health via innovative recycling and waste management programs. Click here to learn more about GreenVI. GreenVI is a management partner and is supporting our efforts to continue to implement BugOut using the highest standards of professionalism and accountability. Visit our Team page or our Partners page for more information. We’ve developed BugOut with the belief that the more people involved, the more information shared, and the more ownership everyone has in the results of the program, the better. Accordingly, BugOut is open to everyone – to the citizens we’re serving, our partners, to students, and to businesses. Everything we do will be shared, and the lessons we learn together will be made available to everyone. Seeing that we’re breaking new ground in community-driven vector control, we hope other communities within the BVI and around the world will benefit as they build their own programs. BugOut’s Community Vector Control Team and Officers: this is our professional team of Community Vector Control Officers (VCOs) who are full-time employees of BugOut and who carry out our core vector control functions. Their mission is to carry out island-wide vector control operations, educate the public, respond to hot-spots, and manage an extensive monitoring and surveillance network. 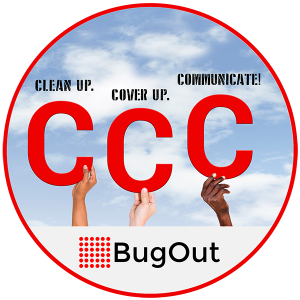 BugOut’s Community Mobilization Program: this is BugOut’s volunteer-based community mobilization system that organizes communities in BugOut precincts, and that empowers communities to take action against mosquitoes. This program is built on precincts, and BugOut precincts are managed by “Precinct Captains” that incorporates community action, public education, new mosquito-fighting control tools, and crowd-powered data to help protect us from mosquitoes and mosquito borne diseases. Click here to learn more about our precinct program and learn how to join!